Students at various universities across the country are angry. They've taken that anger to the streets, which have become battlegrounds between them and police. The University of Limpopo is no different. Here, the unrest has led to the university management suspending classes, and instructing students to vacate residences. As like on many campuses across the country - these students are adamant - they want fee free education. The University's spokesperson, Kgalema Mohuba, says while there was minimal damage to property - the university prepared for any eventuality. He says they've learned valuable lessons from last year's protests. "We were vigilant, when we knew that a possibility of this might happen, we were combat ready with our security plan. The experiences of last year gave us the advantage of having a good plan." Students were given until 5pm on Wednesday to vacate residences. For many, this simply meant that they will go home. But some have been left destitute, and don't know where they'll go. Disabled and foreign students were allowed to spend an extra night on campus, to allow them time to make other arrangements. Some students slept in churches around Mankweng. The EFF student command at the university says the notice to vacate the premises came as a shock to students. 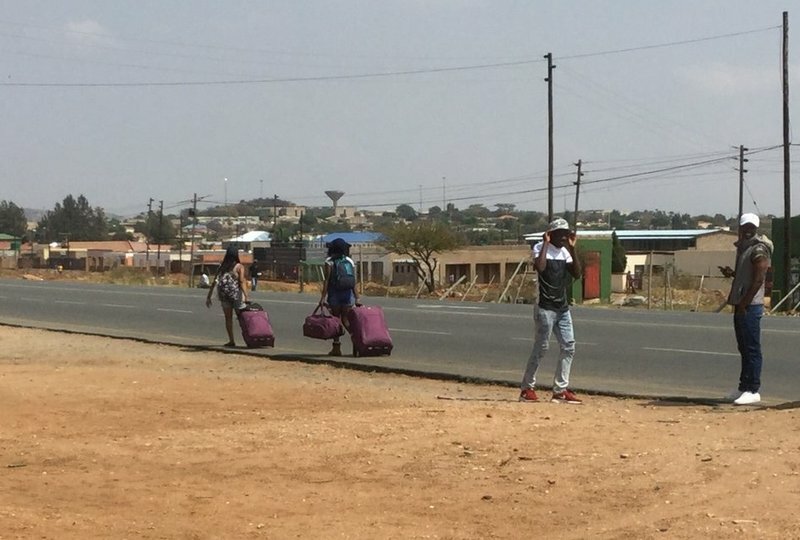 As fee protests continue on campuses around the country, it's unclear when classes will resume at the University of Limpopo, and where destitute students will spend their days waiting.